How do you writecontent that is ideal for seo? There are many factors that play a role in the quality of content you write. You do want to use keywords, but looking beyond this, you also want to consider the actual structure of what you are writing. Take a step back and consider the way you were taught to write, where the first paragraphs provide a broad bit of knowledge and a lead in and the rest of the content provides more specific information. What this does is draw your reader deeper into the text and it keeps those all important keywords in the first paragraph of the document, too. paragraph not to be news like in that it provides the most important information first, but it should give an indication of what is to come. b. Be sure to include keywords in this first paragraph but there is no benefit nor any reason to overdo it. It simply will not help you to get what you are looking for. c. In the next paragraph, begin to expand the content further. You want to keep drawing in the reader so that he or she moves farther into the text. You will likely begin to repeat some of your keywords here, but do not put too many in. d. Keep providing more specific information down into the article. You want to provide something new with each line or paragraph to keep the reader reading. If you are too redundant, chances are good that they will cut off their reading and move on. e. Do use the last paragraph of your document to sum up and to give direction. You want them to keep reading but you also want them to perform the action that you need. Therefore, include any information here you need to in order to get an action. When you follow this type of organization for content, you are not only organizing the information for the reader, but you are also naturally including the important keywords where they need to be. That can help you to accomplish all of your goals from seo to overall readability and effectiveness of meeting the reader's needs and getting the results you need. There is a great deal of benefit to building a website that fits your client’s or reader’s needs. You will create a site that naturally includes the most important keywords to it. However, for search engine optimization, it also makes sense for you to invest in a website that does use keywords. Keywords are the words that others type into search engines to help them to increase page rank in the search engine results pages. For that reason, you need to know how to use those keywords. Use them naturally. That is the first and the most important rule. Do not try to put too many keywords into your articles and blog posts because that creates something that is not valuable to the reader and the search engines will penalize you for doing that. However, most gurus will tell you that there are a few tips to using keywords. These tips will help you to use keywords where they are most important to the next. 1. Keywords should be in headlines. This will greatly improve the results you get. 2. Use keywords within the first 90 characters of any article, piece of content or blog posts. 3. Use just one in this way. 4. Use a keyword in a subheading at some point through the content. 5. Use a keyword in the last paragraph of a website. 6. Use keywords where they fit naturally throughout the rest of the text. As you can see, this is not necessarily a lot of keywords and it can be one of the worst things holding you back. Keep in mind that keywords can be one of the best resources for the web, but only if you use them properly. In other words, you do not want to focus on keywords that do not provide any value to your reader. Be sure that every line works to add something of value to your reader. You also want to keep all information valuable and avoid any duplicate content. When you put all of these pieces together, you increase page rank in the search engines. You also end up with a stronger website because it should have a concentration of quality content that you readers can read and enjoy. Keep in mind that any type of keyword is going to be a good option, but only if it is used properly and not too much within the necessary context of any article or piece of content. If you have taken the time to create a website that is well organized and fills the needs of your search engine optimization goals but you are not getting the results you want, before you become overwhelmed or frustrated, consider some of the problems that you could be experiencing. It is quite common for websites to have small things that are a problem that can be easily fixed that will create an incredible result. There are other things that can take a bit more time to build on. Keep in mind the following tips for building your business by first focusing on the mistakes on your site holding back your optimization. Answer the following questions to find out if your website could be hurting your optimization goals. 1. Is your website just plain junk? In other words, does it only contain worthless information for the reader? 2. Does your website contain information that is out of date or that is otherwise not useful to the reader right now? 3. Does the website offer poor organization? If it is confusing to get from one page to the next or does not have an overall theme that is organized, that could be hurting your site, too. 4. Does your website provide your readers with a call to action? In other words, does it tell them what they need to do right now to get the results they are after? 5. Does your website cost too much right now? In many ways, it can be expensive to run a website but you do not have to have an expensive monthly bill to actually have an effective and well performing website. 6. Is your website providing information that is too generic or to broad in nature? 7. Does your website provide the reader with a solution to their problem? Most people head online to get an answer to their problem. If you answered yes to these questions or even to just one, you already know what you need to do to rank better in search engines. The key is to remember that you are writing for your readers not for the search engines. 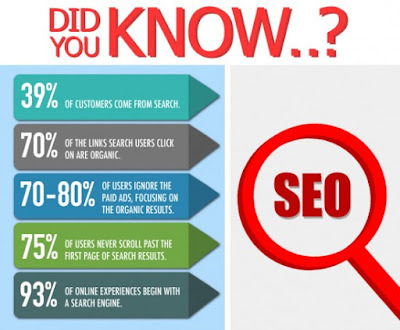 When you get that bit of information in line, you can then begin to count on your search engine optimization skills. The focus point needs to be your reader and ranking will come naturally from that point on for your website.